Seeking board certified/eligible medical doctor (in internal medicine, family medicine, or other relevant specialty) to see patients at Washington, D.C., clinic that provides comprehensive medical care, with a strong focus on nutritional support for patients, including a special emphasis on plant-based diets. About Barnard Medical Center Founded by Neal Barnard, M.D., president of the nonprofit the Physicians Committee for Responsible Medicine , the Barnard Medical Center is a new model for medical care that integrates nutrition education and disease prevention to provide top-of-the-line medical care. Barnard Medical Center takes advantage of years of research conducted by the Physicians Committee research team and other researchers, with a new approach to medicine and nutrition that may help prevent and reverse serious health problems. About this Career Opportunity The Barnard Medical Center is looking for a Medical Doctor to not only treat patients, but also to work with them to prevent chronic diseases, with a strong focus on diabetes, obesity, hypertension, high cholesterol, and other nutrition-related disorders. 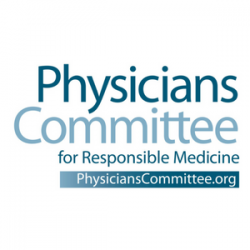 In addition to clinical work, Barnard Medical Center medical doctors spend a portion of their time on the Physicians Committee’s initiatives to educate physicians, health care professionals, legislators, and the public about plant-based nutrition and serve as spokespersons for programs. This full-time position is based at our state-of-the-art primary care medical center in the Friendship Heights neighborhood of Washington, D.C. Who We’re Looking For Applicants should be board certified/eligible in internal medicine, family medicine, or other relevant specialty; possess excellent written and verbal communication skills; and have a strong interest in plant-based nutrition and preventive medicine. Terms This position offers competitive compensation and a comprehensive benefits package. The Barnard Medical Center also supports continuing medical education and professional development. How to Apply In your cover letter please describe your related education and experience and your interest in integrating plant-based nutrition education into medical care. We look forward to hearing from you!